Six feet and five inches of eccentricity. 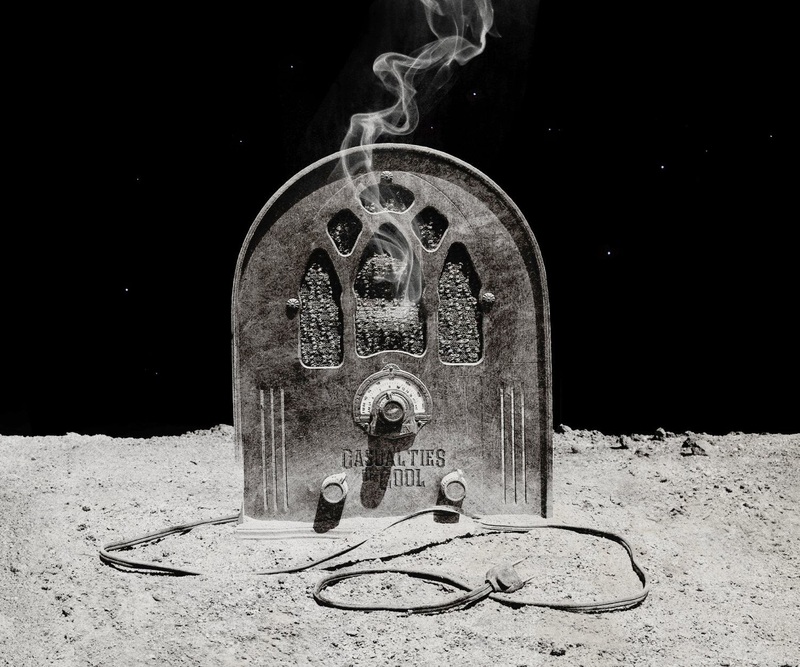 Casualties of Cool is the debut of Devin Townsend and Ché Aimee Dorval's collaboration - not technically a Devin Townsend Project release, but a Devin album all the same. It's atmospheric and ambient, something not typically associated with Devin's catalog, but very much an interest of his. He refers to this album as "late night music, completely isolated sounding and different than anything I've done." The concept is described as being about a traveler that is lured to a sentient planet, which feeds on the traveler's fear. We're not talking about Ziltoid here, although a second Ziltoid album is in the works with a hopeful 2014 release. Certainly the Casualties concept is an odd one, but not for Devin and his appeal for creativity and thinking outside the box! "Daddy" and "Mountaintop" kick off the album as bluesy appetizers to an impending journey, followed by the ambient, tranquil "Flight," which is space-like and has what I consider a lonely vibe. Perhaps the feeling of loneliness is intentional. Dorval's wispy, majestic vocals (also featured in 2009's Ki) are perfect for this. "The Code" is one of my favorite songs, and you can hear frog calls that are similar those in "Blackberry" of Ghost, also one of my favorite songs on that album. It's bouncy, catchy, and features Devin's mellow vocals. He practically whispers and you'll get lost in the experience during the meat of the album. On the other end of the spectrum is the 8-minute "The Bridge," featuring goose bump-inducing vocal harmonies, woodwinds, an epic choir, and a whirlwind of a finale. Like my review? Please leave a helpful "yes" vote for my Amazon review. Thank you! Did you know? North Dakota is the top state in the U.S. for honey production. That's right, the barren tundra known as North Dakota produces the most honey. And they're about to get some assistance along with their Midwestern neighbors to help boost the declining honey bee population. The $8 million will serve for establishing new habitats to combat the declining honey bee populations and hopefully promote growth. Earlier this year, the USDA designated $3 million to the Midwest. And earlier this week, President Obama urged U.S. government agencies to take to protect and restore domestic populations of pollinators, including honey bees. The priorities of our country are finally changing and recognizing the serious consequences if honey bees become extinct. To put it in two words, NO FOOD. Did you know? According to the USDA, the number of managed honey bee colonies in the U.S. has dropped from 6 million in 1947 to 2.5 million today. 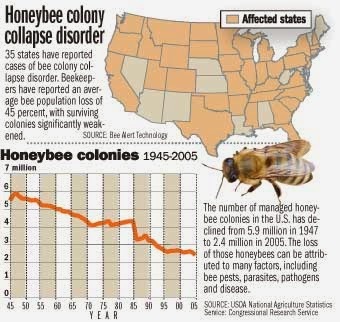 In 2005 the USDA reported 2.4 million managed colonies (in comparison to 2.5 today), so it appears there has been a slight stabilization in honey bee population, but the fear of a continued decline still lingers. Try Lyft and use code SETH375 for $25 off your first ride. This ride-sharing service is cheaper than Uber! Lyft is a friendly, safe, and affordable transportation network. Just tap a button and in minutes you’ll be riding in the front seat with a new friend. Our Lyft community drivers have been background checked and personality screened to offer the best ride experience in the city! Prepare for Lyft off! Enter code SETH375 into the payment section before your first ride. $25 credit will automatically factor into your payment for your first ride. I'm from the Boston area. I'm not Irish, I don't like lobster, and I don't have an accent.